Hey Hue takes on the holidays with Small Wonder, a pop-up art event featuring small works by Colorado artists on Small Business Saturday at Stanley Marketplace. With thoughtful, one-of-a-kind artworks and art objects made right here in Colorado by some of the state’s best artists, Small Wonder gives consumers a chance to do some real good this holiday season by giving the gift of art, buying local, and financially supporting artists. Small Wonder will feature a range of artistic styles, content, and media as well as functional art objects at or under $200. Hey Hue is a new, experimental art agency based in Denver, created to promote artist entrepreneurship and art collecting. With a focus on affordability, Hey Hue democratizes the art buying experience by making original art accessible. It also provides artists with new and supplemental revenue streams to support their art practices and increase their collector bases. Hey Hue is dedicated to expanding opportunities for artists, increasing arts participation, and creating unique, irresistible arts experiences. 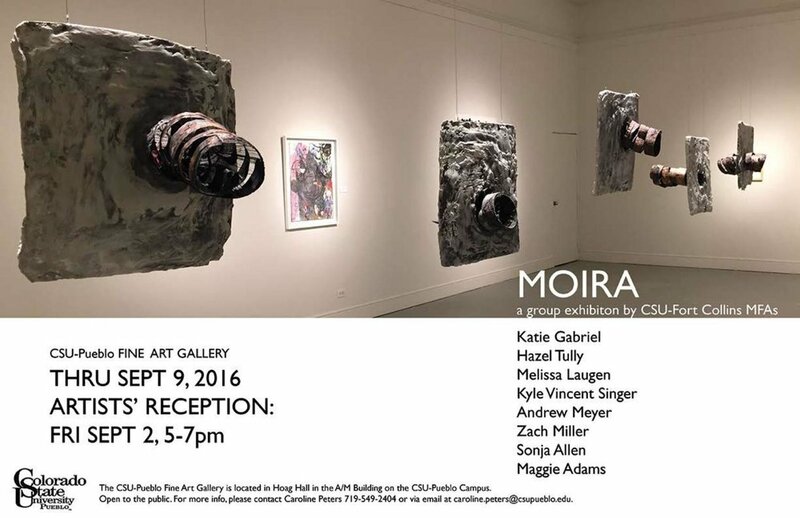 Opening Reception for SYNERGY::Recent Art Graduates Exhibition. 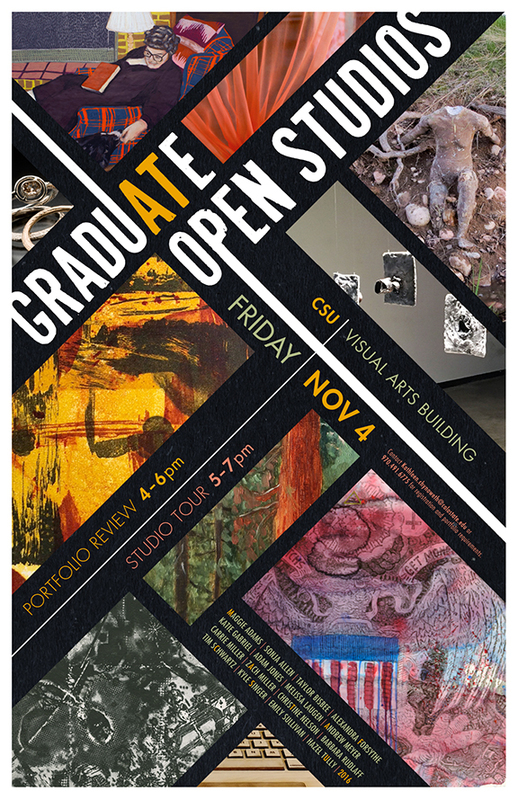 Join the artists of exhibit SYNERGY: Stephanie Kantor, Carissa Samaniego, Katie Gabriel, Ryan Wurst, & Olivia Davies. Curated by Mark Moffett. Enjoy live music Skyler Heck aka f-ether. Light appetizers provided. Wine and beer available for purchase. A showcase of artwork created by RRCC Faculty and Instructors in the Susan K. Arndt Gallery at RRCC's Lakewood Campus. Opening Reception Friday, April 28, 5 P.M. – 7 P.M. The Gregory Allicar Museum of Art’s annual Master of Fine Arts Exhibition marks the culmination of a three-year degree program in the visual arts that fosters individual research and creative studio practice. Students in the program focus on a particular area of study and complete a mature body of work in their chosen field – art work is situated within the discourse of contemporary art practice. This year’s exhibition features work of Katie Gabriel and Tim Schwartz. Art Gym Denver is excited to present Dark & Obscure- an exhibition juried by Art Gym Program Director Michael Keen. Featuring the work of Carolyn Berry, Melanie Bindon, Chris Blume, Sarah Bouma, Raimondo Briata, Corey Cook, Candice Corgan, , Corrina Espinosa, Anthony Fedele, Jordan Lyn Fickling, Megan Frauenhoffer, Katie Gabriel, Erin Gilbert, Noble Hardesty, Lori Hellstrom, Katie Hoffman, Izzy Jarvis, Anna Kaminski, Marjorie J Lair, James Leger, Monika Lemmon, Max Maddox, Cherish Marquez, Mark Pennington, Ingrid Porter, Desiree Richardson, Claudia Roulier, Rik Sargent, Kathleen Sherman, Kyle V Singer, and Kyra Winkle. Dark & Obscure will explore the darker side of art by featuring artists concerned with topics of mortality, the afterlife and our perceptions of reality. Inside us all sleeps a child who still remembers fearing the dark – this show celebrates that memory.